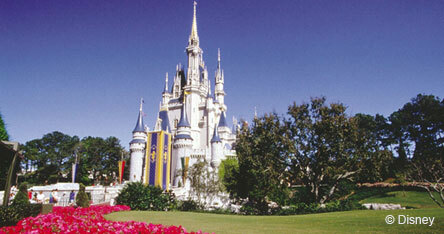 Disney’s Magic Kingdom Park is the iconic Disney theme park in Orlando. Cinderella’s Castle is settled at the centre of the park, with six lands which spin out from this central point. Each land is themed differently, with rides, restaurants and attractions based on the theme of the land that they’re in. Main Street U.S.A. brings guests into the park, and souvenirs and snacks can be found here, as well as a magical view of Cinderella’s Castle. The six lands of Magic Kingdom can then be explored – from Adventureland to Tomorrowland -- there’s something that everyone will love here. Adventureland is themed around the mystery of exploring places unknown and far away, resembling the jungles of Africa, Asia, South America and further afield. Some of the most popular rides within Adventureland include the Indiana Jones Adventure: Temple of the Forbidden Eye and Tarzan’s Treehouse – making this a perfect land for all the family to explore. Frontierland is based on the American Old West with cowboys and Indians as a key theme! Big Disney rides such as Big Thunder Mountain Railroad and Splash Mountain can be found here. Liberty Square is the place where guests can discover an American Revolution colonial town, with the Liberty Belle riverboat a key attraction. At Liberty Square, don’t miss The Haunted Mansion – a haunted house where nothing is what it seems! Fantasyland is a medieval fair or carnival themed land, and one of the most magical places within the Magic Kingdom. The entrance to Cinderella’s Castle is within Fantasyland, and a number of rides here are based upon the stories of infamous Disney characters. Here, you’ll find the It’s A Small World ride, and The Many Adventures of Winnie the Pooh, as well as rides with Peter Pan, Snow White and Prince Charming as hosts. Fantasyland is currently undergoing an extensive expansion scheme which will be completed by 2013. Storybook Circus is a new land which is due to open in 2012, and replaces Mickey’s Toontown Fair. Based upon the adventures of Mickey and friends, this area will include the Dumbo the Flying Elephant ride and The Great Goofini. Tomorrowland is the final Magic Kingdom land, and is themed around a city of the future, with rockets, robots and UFOs. The land includes classic Disney rides such as Space Mountain and the Disney Monorail, as well as popular attractions such as Buzz Lightyear Astro Blasters and the Captain EO starring Michael Jackson. Magic Kingdom may be the most famous of the Disney theme parks in Orlando, but it’s certainly not the only one. Disney also offers guests the chance to visit Epcot, Disney’s Hollywood Studios (formerly MGM) and Disney’s Animal Kingdom. Uncover the magic of Disney at Christmas and book a last minute Christmas holiday with Netflights.com.